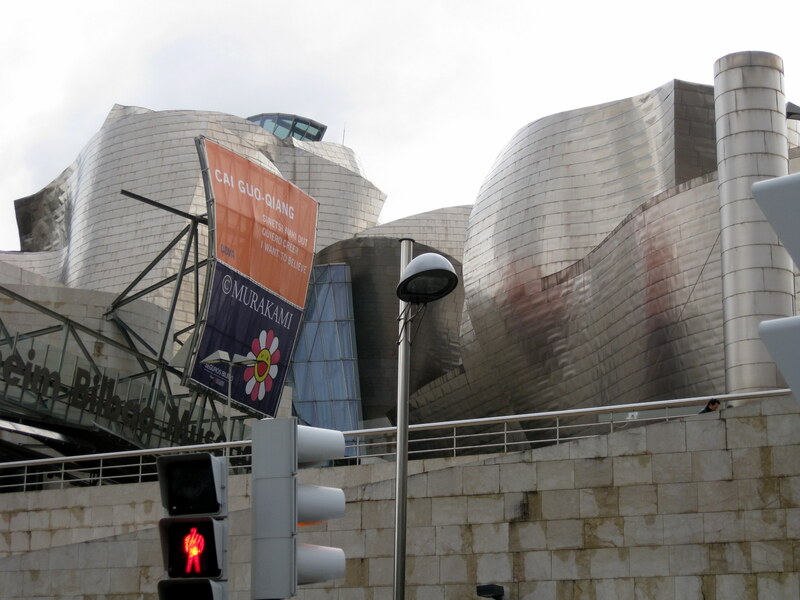 We arrived in Bilbao at 9:15 AM, and walked around the outside of the Guggenheim Museum. It was quite different. 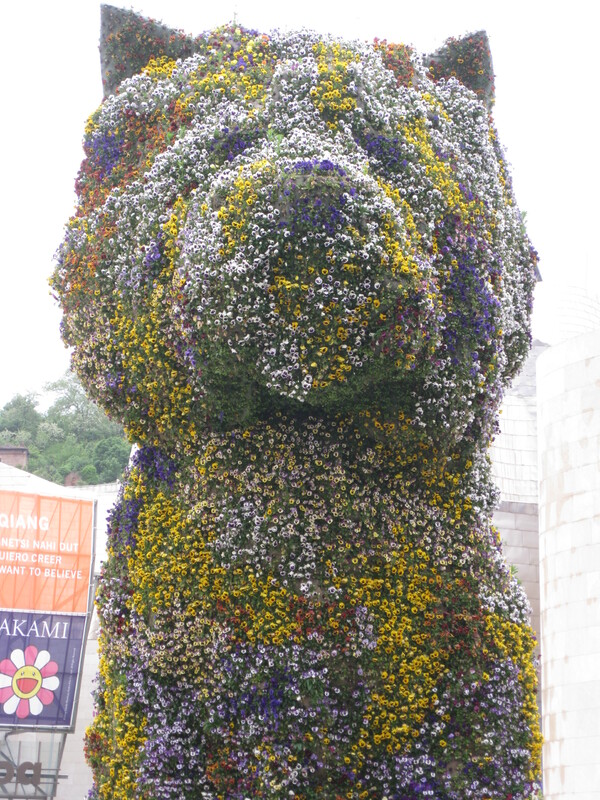 There were several exhibits on the outside, the great spider and the huge dog made of flowers. We went inside when the doors opened at 10: 00 . All of the art is very modern. I didn't particularly care for it, but my wife loved it. The 1,260,980 – sq.ft. building is the focal point of a $1.5 billion redevelopment plan for the city.The internationally acclaimed Frank Gehry design features a 165 ft atrium. Stretching under the Puennte de la Salve Bridge and incorporating it in his design, the Museum has a towering roof reminiscence of a blessing blossoming metallic flower. 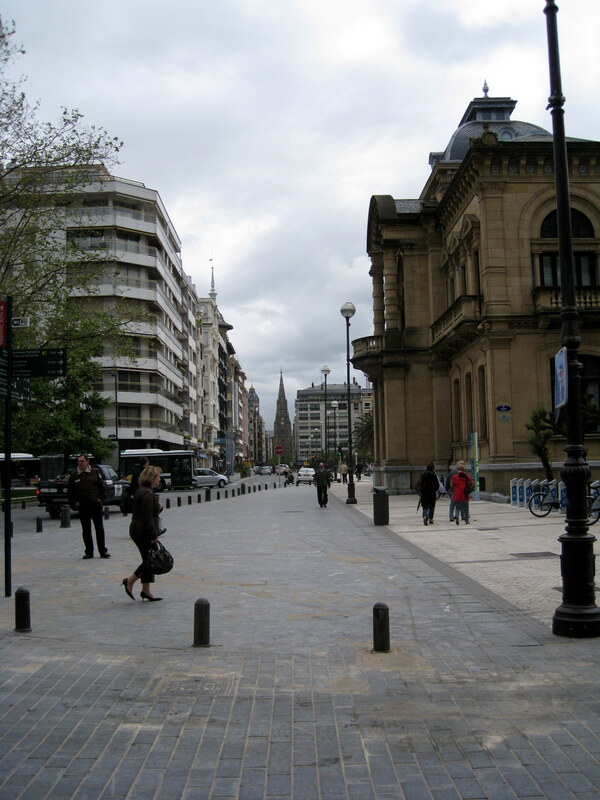 Our next stop was the town of San Sebastian. We saw a lot of mountains on the way. It was still raining a little but there were signs of clearing up. 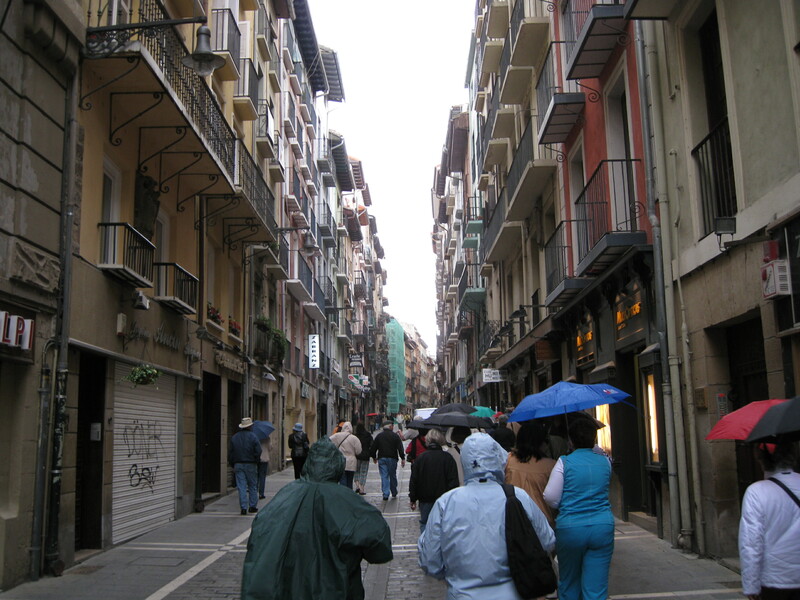 San Sebastian is known as "Pearl of the Cantabri an Coast". This was our lunch stop on her own. Everyone went in different directions. We were walking with a young lady and her mother, and found a nice café for lunch. The waitress didn't speak or understand English very well, and we had trouble with Spanish. The young lady was asking about a particular item on the menu and theiw aitress went "quack, quack" so she ordered the duck. I had a steak in French fries, but the steak was very thin and t ough. My wife had lasagna and it was better. 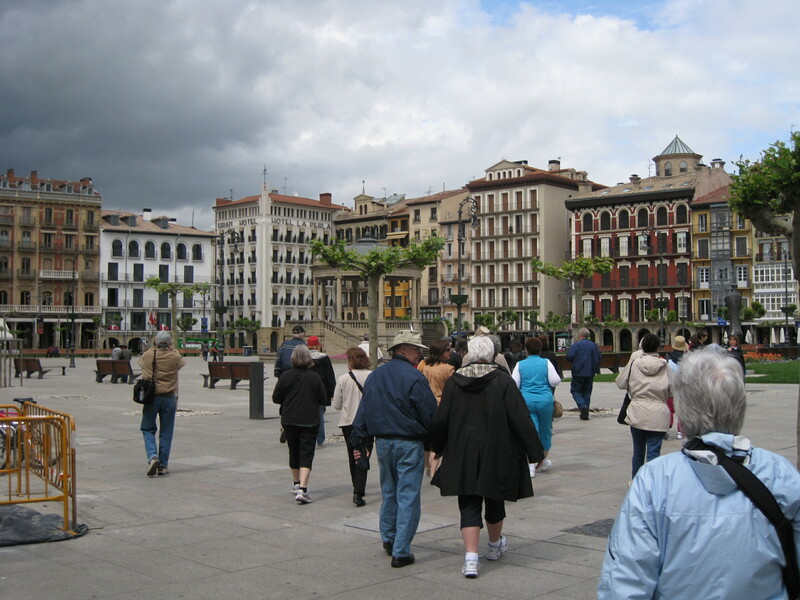 We didn't have much time to explore the town or to see the Cathedral. Another disappointment. Back to the bus to Pamplona. 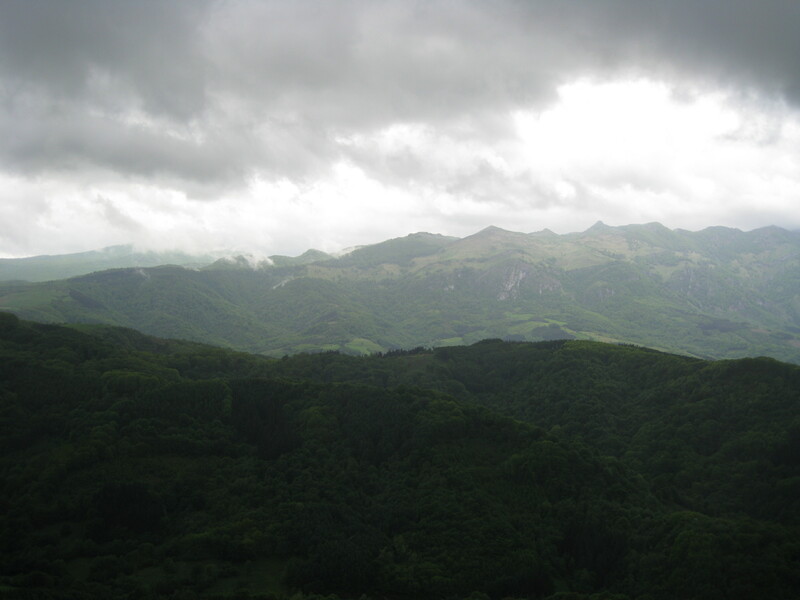 We saw some beautiful scenery between San Sebastian and Pamplona even though it was very cloudy and rainy. We had the cathedral on our list as a beautiful example of Spanish architecture, but unfortunately we did not get to visit it. There was not enough time after we checked into the hotel to go back into town before dinner. Since we had visited the town before arriving at the hotel we couldn’t remain near the cathedral and then expect to find the hotel on our own. This was another cathedral disappointment. So far we are not having much luck visiting the cathedrals that we had hoped to see on the trip. We have been on the road two days and have only visited one of the four cathedrals we had anticipated seeing thus far. We were rather discouraged about the trip at this point. 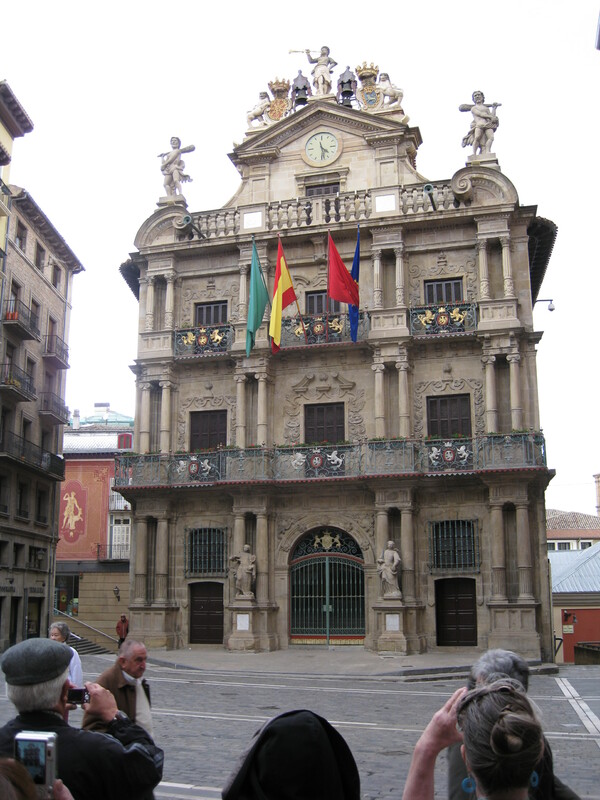 Ernest Hemingway's descriptions of the running of the bulls,during the festival of St. Firmin in his 1927 novel, The Sun Also Rises, made Pamplona known throughout the world. The riotous festival usually begins on July 6th and last until July 14- The Feast of St. James. We had a good dinner in the hotel dining room. There was a pitcher of Sangria on each table. Our first course was a plate of green beans with ham. The main course was duck and potatoes. This was my first experience with duck. It was delicious. We had a mousse for dessert.